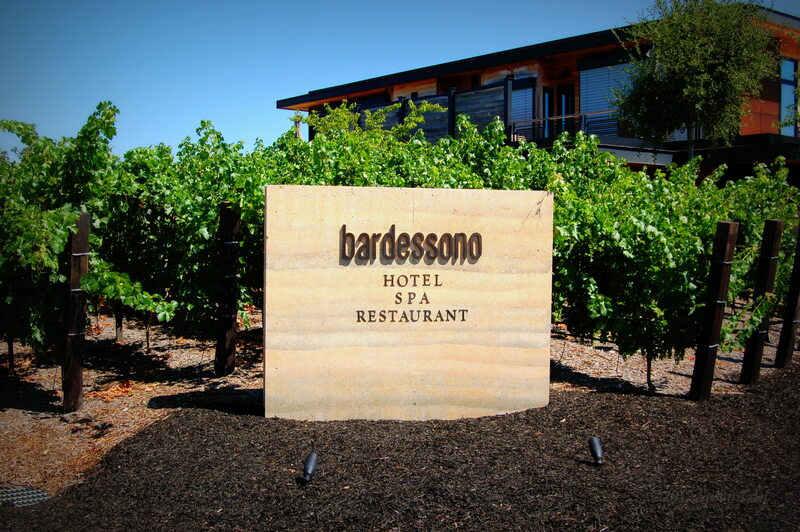 The Bardessono resort is located in the charming town of Yountville, CA in the Napa Wine Region. The resort is named after the Bardessono family who resided on property at one time and currently still own the land. 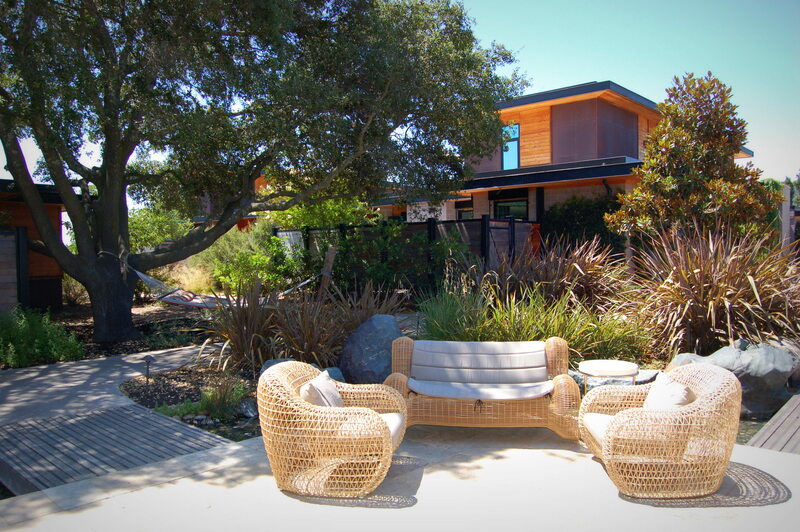 This property has the distinct convenience of being steps from downtown Yountville. Several shops, restaurants and the famed Bouchon Bakery along with the world famous French Laundry restaurant are within walking distance. 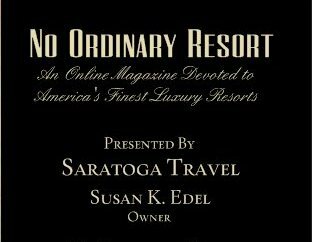 At the time of this post, this resort holds the distinct recognition of being only one of three Platinum LEED Certified hotels in the United States. In their own words “Our model demonstrates two things: A hotel can provide a fully luxurious guest experience and be very green at the same time, and environmental initiatives can be implemented in a manner that is practical, economic and aesthetic.” The clean lines and simplicity in the design of this resort is reflective of their green philosophy. 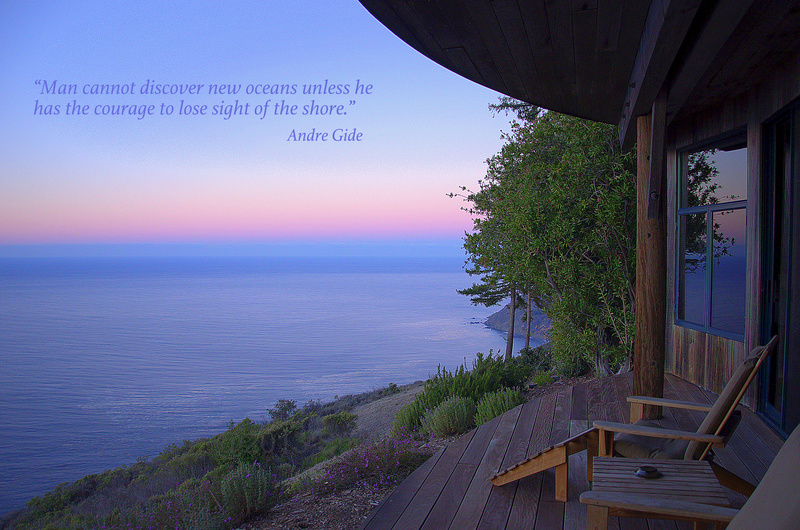 The property consists of large oak trees, natural grasses, large lavender fields, grape vines and Lucy’s Garden along with many unique sculptures scattered throughout the resort. There is an enjoyable courtyard to sit and relax and in the evening it’s a great place to have a drink and chat. The rooms are a contemporary, clean design all built with sustainable materials. Each unit has a huge dressing/bath room, some with an indoor/outdoor shower (on lower levels) or outdoor soaking tub (on upper levels) by which you can star gaze in the evening. For the convenience and privacy of each guest, each bathroom includes a spa massage table which is tucked away Murphy bed style for in-room treatments. The resort does have a small spa on site, however, they can only accommodate a limited amount of people at a time, so the convenience of being able to have a treatment in your room was by design. During my stay, I spent a day lounging at the roof top pool. The pool design keeps in line with the rest of the resort with contemporary style cabana beds with lots of lush pillows, comfy lounge chairs and, my personal favorite, wonderful foam floaters for the pool ~ they even throw in a few beach balls for some entertainment. Unique, soft jazz music is piped in throughout the day and a snack shack offers menu items from their main dining room that are delivered to you for your poolside pleasure. Bardessono’s restaurant, Lucy’s, takes great pride in their dishes which are created with their own freshly grown ingredients from their garden. What they don’t grow on site, they try to acquire from local farms and orchards in the area. And of course, any resort steals my heart when they are pet friendly and let my furry babies come with me and Bardessono is extremely welcoming and accommodating when it comes to our four-legged friends ~ that makes me (and my pooches) very happy. Bardessono lives out its commitment to sustaining and being accountable to the environment while indulging your every luxurious need. Simply divine!